Why not enjoy some fresh air I thought and continue to wire my pine outside!!?? Too cold… I managed about 45mins with a cuppa to warm me up. Didn’t work, especially as it started to have rain in the air. 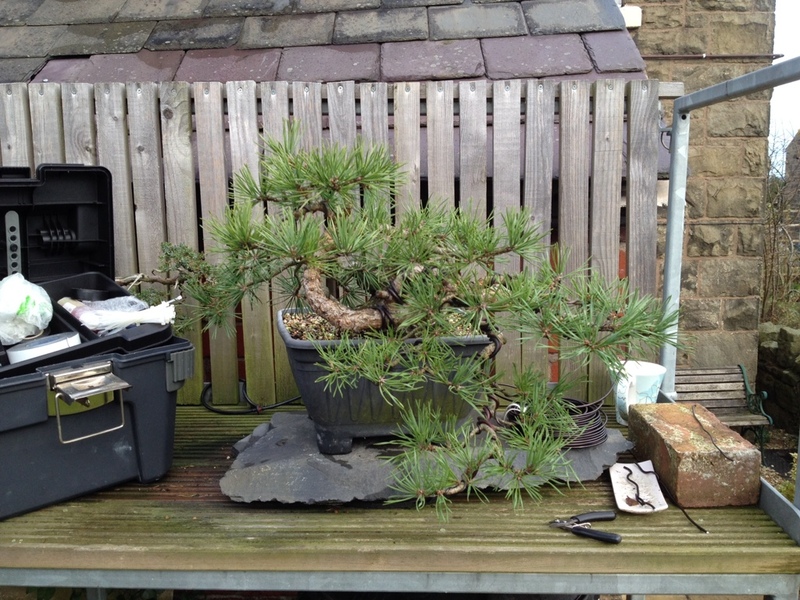 This entry was posted in My Trees and tagged pinus sylvestris bonsai needle pluck wiring. Bookmark the permalink.